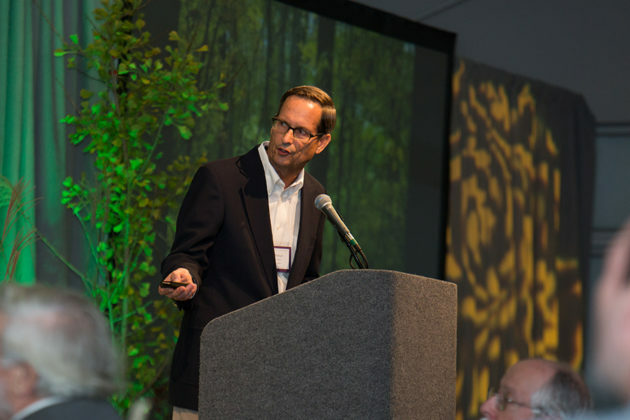 Thank you to all who came to our October 21 Annual Celebration “Wild Indiana: Past and Future.” The Monroe Convention Center was decked out, thanks to support from Markey’s Rental & Staging and Harmony Gardens. Table hosts invited friends to learn more about Sycamore and enjoy the festivities. 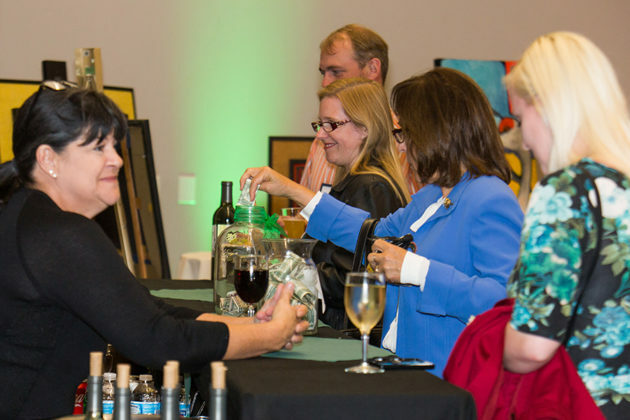 Live music, inspiring talks, popular silent auction items, and delicious food made the night memorable. Award recipients were: Sam Shine, Barbara J. Restle Lifetime Conservation Award; Bledsoe Riggert Cooper James, Conservation Business of the Year; Hoosier Hikers Council, Volunteers of the Year; and Guy and Connie Loftman, Friends of Sycamore. We appreciate every attendee, donor, and partner who supported this event and helped Sycamore raise funds that are vital to land protection. Without your involvement, we wouldn’t be where we are today. Photos from the evening were taken by Synthia Steiman of SfS Photography. For more photos, check out the album on our Facebook page. Michael Homoya, Indiana State Botanist/Plant Ecologist, gave a presentation comparing Indiana’s earliest land cover records with some of the sites as they are today. Sycamore’s Annual Celebration provided plenty of opportunities for socializing. 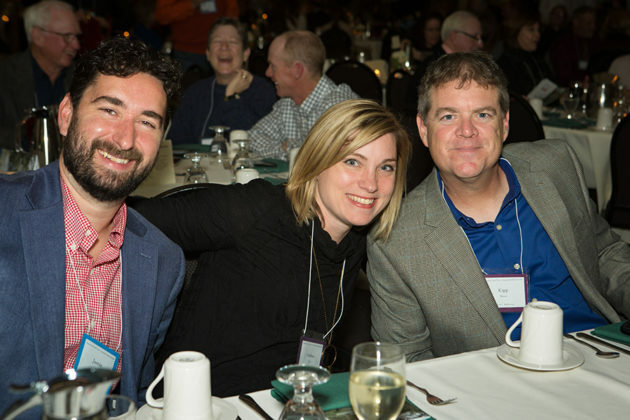 Attendees Justin and Andrea Lutz and Kipp Kress get ready for a delicious buffet dinner. 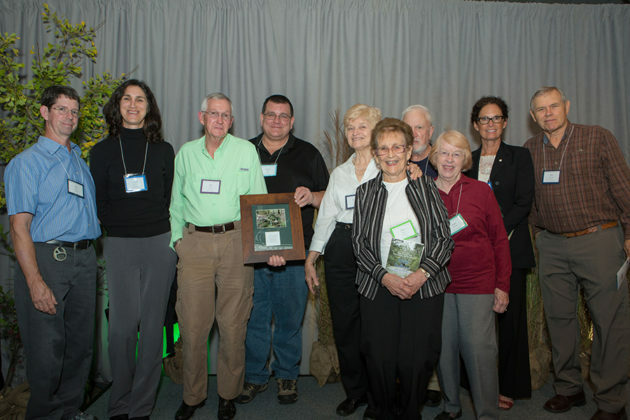 The Hoosier Hikers Council was honored as Volunteers of the Year for their work building trails on Sycamore preserves.